The combination of high accuracy and low price make the Easy Count counting scale an exceptional value. These fine American made scales include features like a large, bright LED display, bi-directional RS-232 communications, rugged aluminum housing, a simple English keypad and a stainless steel weighing pan. 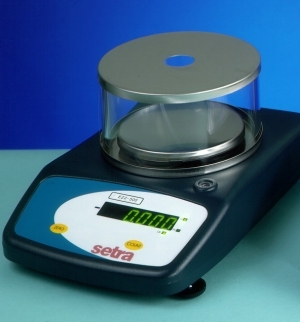 All Easy Count scales employ Setra’s patented, award-winning weight sensing technology variable capacitance. This technology requires few parts allowing the scales to maintain a low profile and small footprint, providing you with better reliability at a lower price. The high displayed resolution of 1 part in 100,000 is your assurance that the Easy Count delivers the internal counting resolution needed to count accurately with smaller samples. Each model is offered in capacities of 500 grams, 2000 grams and 5000 grams. No other counting scale is easier to use or more accurate than the Easy Count from Setra.